Every once in a while somebody asks why TJEd recommends lenient academics for children under age 12 and such rigorous standards for youth ages 12-18. This seems so different from the national system most of us experienced. Sometimes our first instinct is to defend this point, to say that of course young adults should study much more deeply and broadly than little children, and that the way we tend to emphasize homework in grade school and then playful activities in high schools seems backwards. Various studies have shown how damaging this is to some children—especially boys. Writings by Maria Montessori also deal very effectively with this topic. You can make a real case for this: We tend to push small children to the point that many of them really dislike learning before they are ten or eleven years old, and the American teenager is notoriously lax about education. But in reality, lax education for children and rigor for youth isn’t what TJEd promotes. The whole conversation is based on a false assumption. In short, TJEd does not teach lenient academics for children. Let’s repeat that: TJEd teaches a higher standard of education among youth, yes, but it does not recommend lax academics for children. This is a myth, and it exists mainly because of semantics. This has been a major theme we have learned to address in seminars training people to apply TJEd. Our message is not, emphatically not, that parents and teachers should “ignore” any of their students or their academics. Indeed, we teach exactly the opposite. What takes more effort for the home school parent or teacher, to ignore or to require? The obvious answer is that ignoring is easier. 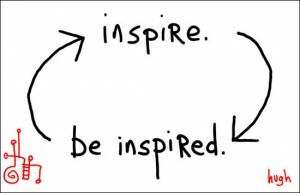 But here is the real question: Which takes more effort for the home school parent or teacher, to inspire or to require? 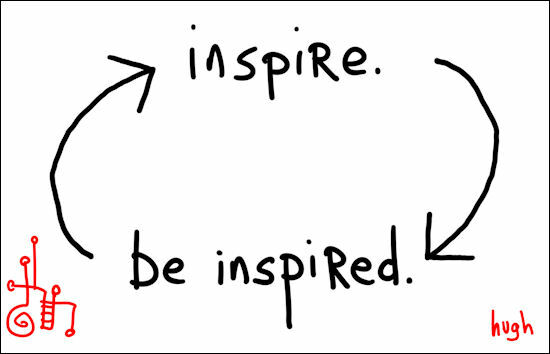 In truth, inspiration is a lot more challenging. It takes preparation, planning, implementation and continual improvement of one’s educational delivery. TJEd is all about inspiring each student, about making education truly exciting and interesting for each individual learner. This is a lot of hard work, and the parents/teachers who do it typically spend at least as much time per student preparing and delivering educational experiences as public educators. As for the student, she ends up experiencing just as many educational opportunities, projects, and practices as students in the require models of schooling. In short, TJEd does not promote lax education for children and then rigor for young adults. It does the latter—rigorous study for those 12 and above—and it also promotes a well-delivered educational experience targeted to each individual child younger than 12. Many people in our modern world have come to equate conveyor-belt methods and systems with schooling, and they tend to see anything else as lenient or non-academic. TJEd is different than the conveyor belt model, but it is not academically lax for children. Like Montessori, TJEd emphasizes an educationally-rich environment complete with a caring adult who relies on setting the example, engaging each child individually, and not expecting every child to learn identically or fit into a pre-established system. TJEd does teach that children who are strongly pushed academically while young very often learn to dislike learning, hate school, and avoid whatever assignments they can. The result of such learning is a nation of students who do the bare minimum whenever possible, or, at best, do their school work in order to impress adults and get good grades rather than from an innate love of learning. Once young adults pass puberty and are ready for abstract reasoning and dedicated study habits, Montessori methods are no longer the ideal. But Montessori taught this all along. Still, children are different than adults and certain types of learning are better for many children than the typical force-based requirement model. TJEd is against forcing and requiring groups of students to do the same things and learn in the same ways, since this typically shuts down learning with at least some of the students. TJEd is based on the idea that each and every student can get a great education and that, especially in childhood, parents and teachers – whether in private, charter, public or home school – should personalize, individualize and rely on being inspiring rather than on forced requirements.